An original Munich art exhibition poster for the year 1934 designed by Heinrich Eschle. This example and the 1935 example I have offered were originally archived until the 1990's and are extremely rare. Aesthetically pleasing is an understatement with this and it is a beautiful poster. It is a large format poster at approx 4 x 3 feet and I will refrain from framing them as much as I would like to do it. I think the collector for these will not need a long description for it and it would look great in home or office and bears no symbols of the political party of the time. 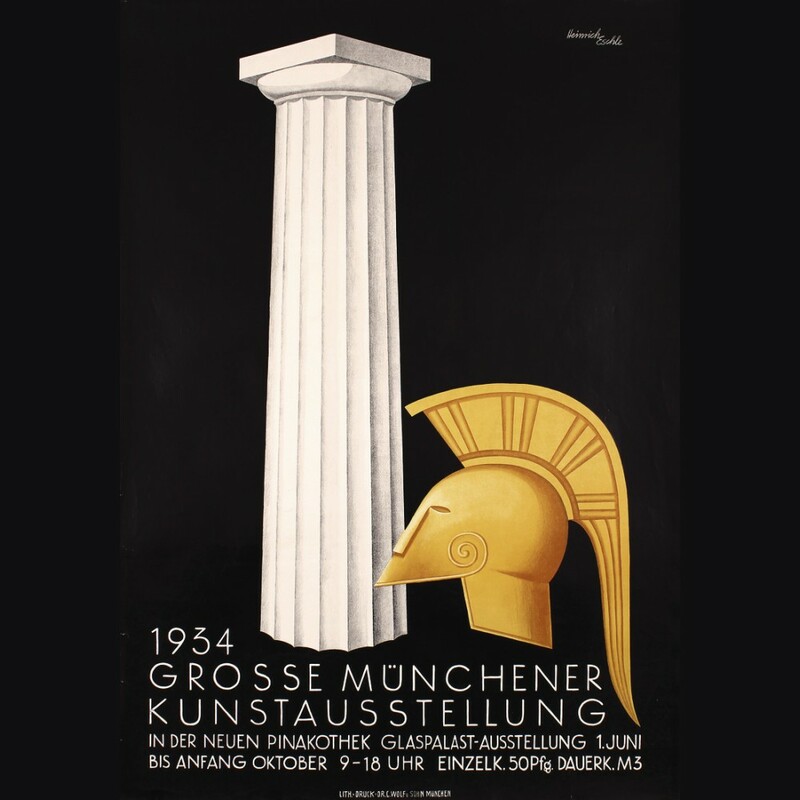 The poster market has always been fairly strong and remakes of famous posters are all over the web and in offices and homes around the globe, here is an original example that is stunning and suitable for any collector taste. Description: Grosse Münchener Kunstausstellung. Artist: Eschle, Heinrich. Printing/Date: Offset 1934. Printer: C. Wolf u. Sohn, München. Condition Details: small tears, one tiny loss and minor creasing at the edges, plastic stripe adhered to the right edge on the back of the poster (A-/B+).